Some conversion kits have their batteries inside a bag. The bag can be put on the handlebar or can be mounted on the rear rack. Racks come in many styles so each installation will be different depending on the type of rack used. Make sure your battery is secure and snug so it will not move when riding. attached to the bicycle' frame. placed together with the battery inside the pannier bag. If the controller is placed near the seat-post it can get in the way when you will try to quick-release the saddle for example. Pay attention that the controller doesn't not interrupt to any other part. Pay extra attention to this in a case of a folding bicycle. Don't forget that eventually wiring from the handlebars, motor and battery will all cross through the controller so make sure that they can reach the controller location before doing any wiring. Conversion kits are usually being offered with different battery capacities, you should choose what suit you the best. The battery page can help you here. 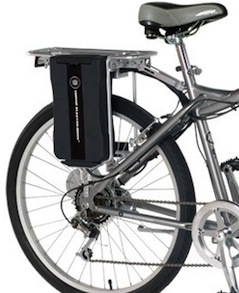 Does the battery too big or heavy for your bicycle? Is it possible to mount it where you want it to be? A conversion kit that comes with a battery inside a bag may sometime look too homemade. Is it going to bother you? The battery is the most expensive part of the kit. You can buy a kit which doesn't includes a battery and buy your battery from other source. Many self-build kits come with huge batteries too heavy to carry that mount on a locked rear rack. This gives the obvious appearance of an electric bike and may be an invite to thieves or vandals. Think about how you plan to use your bike and whether you will need to leave it outside. 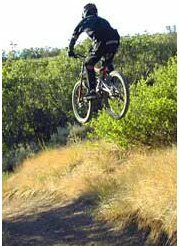 Fitting a smaller battery has the advantage that it can be mounted in an inconspicuous bike bag which can then be removed from the bike whenever necessary. Install the rear rack (If exist). The axle will usually be the lower support of the rack and the seat post will be the upper support. Sometimes it is more convenient to turn the bike upside down and then install the rack. Don't slide the battery in just yet. You will do this at the final stage, after installing and wiring all the other components. 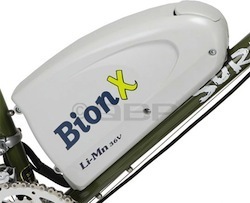 - There are rear carriers that can hold one or two batteries at either side of the rear wheel.